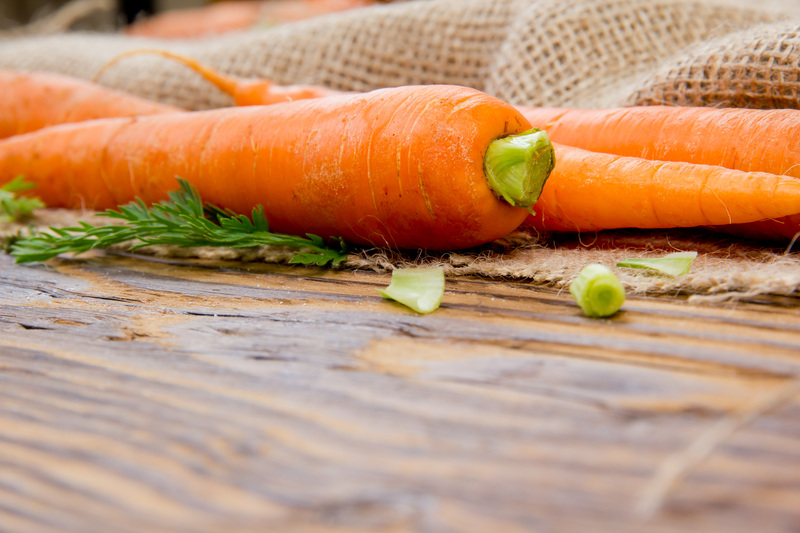 Many pet owners however don’t realize that dogs are NOT able to properly digest raw carrots, and therefore the valuable nutrients cannot be absorbed and utilized. 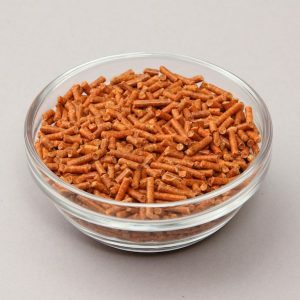 Olewo Dehydrated Carrots are easy to digest and in the proper form allowing for absorption of the beneficial nutrients in the dog’s digestive system to get the full benefits from this nutrient-rich vegetable. Dogs actually need some vegetables in their diet because they contain many important health-promoting nutrients from a natural source. 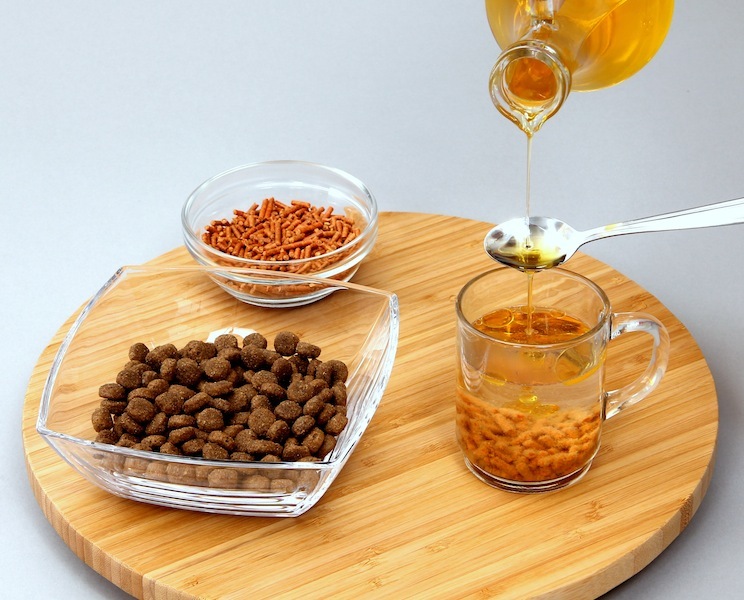 Many of those nutrients are the ones that are often lacking in commercial dog foods, and natural source vitamins are much more effective than synthetic vitamins. DIRECTIONS: Rehydrate the recommended daily amount of Olewo Dehydrated Carrots according to bodyweight of the dog (refer to feeding chart on bag) in some warm water. The amount of water used for rehydration can be adjusted to your liking depending on the desired consistency of the final reconstituted mixture. DIRECTIONS: The addition of a small amount of oil (refer to feeding chart on bag) is recommended to help convert more of the beta-carotene to the beneficial vitamin A, which is a fat-soluble vitamin. 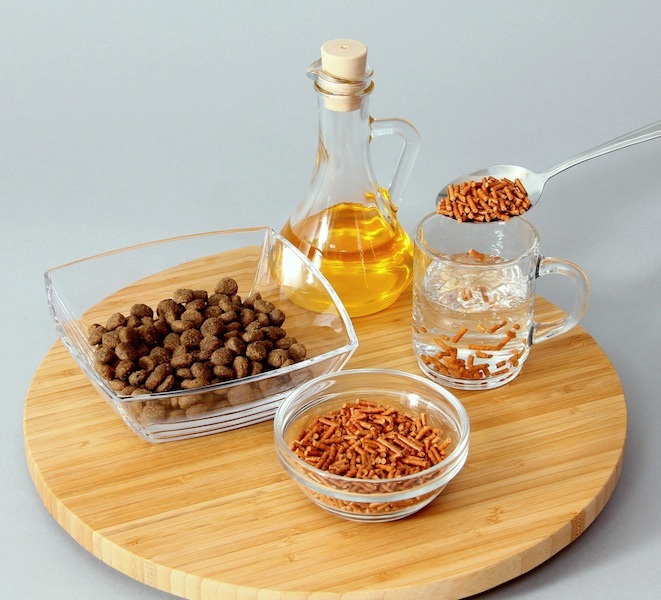 Good oils to use are organic coconut oil, flax seed oil, salmon oil; but most kitchen oils will do, even olive oil. 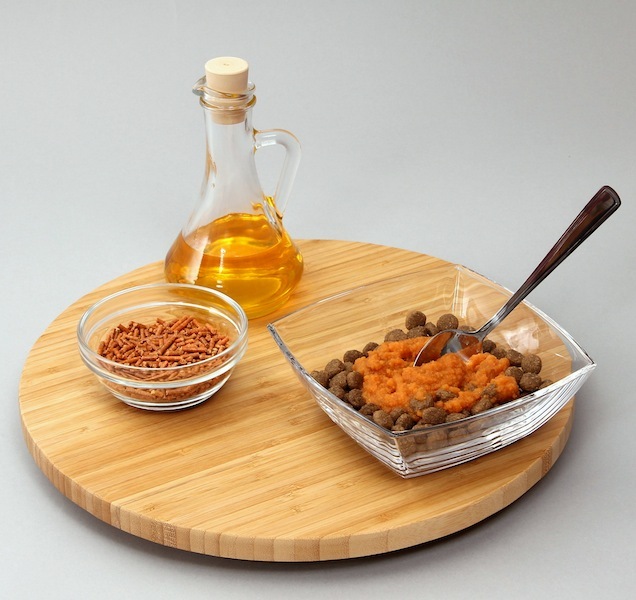 Oil should not be added when feeding puppy food or performance dog foods because those foods have a higher fat content which is sufficient to aid the beta-carotene to vitamin A conversion. DIRECTIONS: Steep for 10 minutes in warm water until the carrot pellets are completely rehydrated. 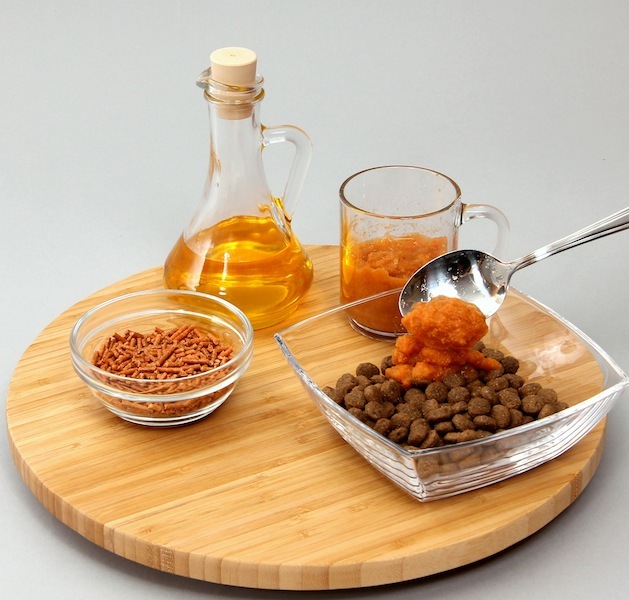 Then add to the dog’s regular food such as kibble, canned dog food, raw dog food, or home cooked meals. This image shows rehydrated Olewo Carrots on top of kibble before mixing the two together. If the reconstituted mixture turned out firmer than desired, more water can be added at this point. 1/2 cup of water per 1 tbsp of carrot pellets was used as this seems to yield the final consistency that is preferred by most of our customers. 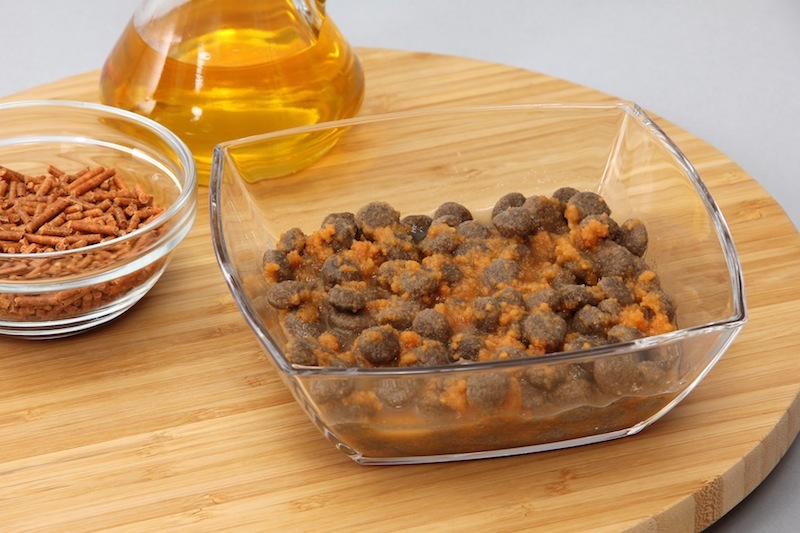 This image shows Olewo Dehydrated Carrots mixed in with kibble after steeping the carrot pellets in warm water with oil added.